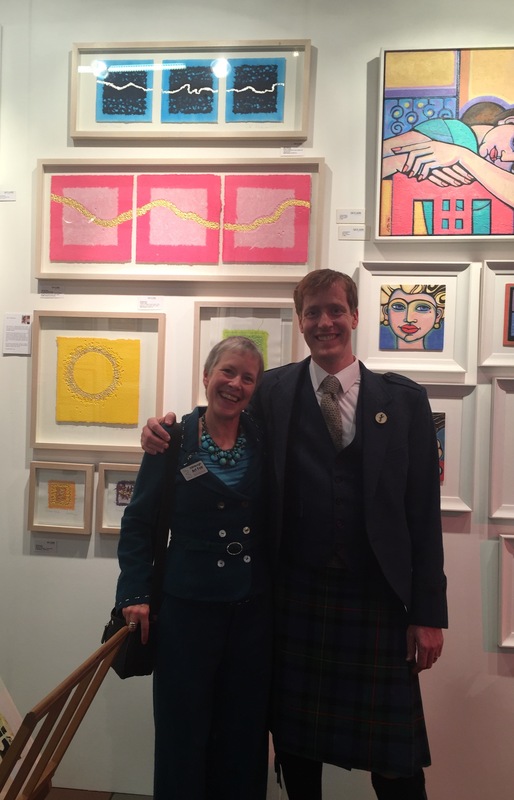 In November 2017 I headed up to Edinburgh Art Fair once again with Talia Lehavi. We set up a varied and attractive display on the stand E6 with works by seven Skylark artists (including our own). We had a fantastic response to our stand and sold lots of beautiful pieces of art. We also enjoyed being in such a beautiful city of course! I displayed some new river pieces that were inspired by Scottish rivers which were very well received. The organisers, Mike Smith and Andy McDougall (and their team) are all brilliantly efficient and hard working and they always get a fantastic crowd of art lovers through the doors each day. Did you notice that Mike is wearing his kilt in the photo above? I think he looks very dashing!